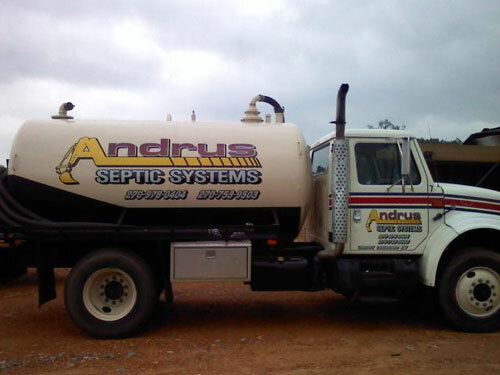 Andrus Excavating and Septic provides the best in septic pumping and installation. Our experience and dedication to installing systems properly will keep the cost down and get the job done right. Septic cleaning should be performed every three to five years; if not the buildup can ruin field lines which damages your system. Scheduled routine maintenance will save the life of your septic system. We also provide service and repairs to the areas of Benton, Mayfield and Paducah, Kentucky. Andrus Excavating and Septic is here for you. If you have a problem with your septic tank, the last thing you want to do is wait. Whether you are a new or existing homeowner, a real estate company, a bank, or a store owner, Andrus can meet all of your needs.